Summer is meant to be spent WET! 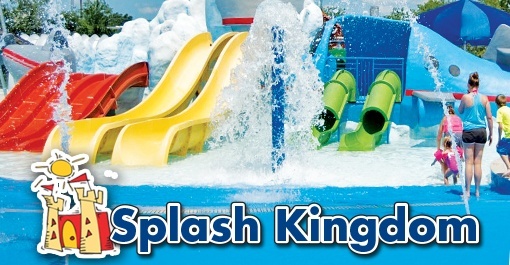 So plan on dropping the video game consoles and your smart phones, and spending memorable time as a family or with your friends at Splash Kingdom Waterpark in Greenville. With slides and water rides and attractions that will wow your senses, 2019 is going to be a summer to remember. Adventure is closer than you think. So purchase your season passes today at a 27% discount and stretch your 2019 summer budget further. One of the areas best area attractions for summer family fun! Slides, tubes, and rides to keep you and your kids entertained and cool all summer long! Valid at the Greenville location. May purchase multiple season passes. Will be mailed to you within 5 business days of purchase.